The issue was whether that conduct justified the 2-level vulnerable victim enhancement under Sentencing Guideline § 3A1.1(b)(1), here. At first blush, it might appear that the only victim in the case was the IRS. Merely using these minor persons' information to claim tax benefit affecting the IRS does not seem to rob those minor of anything and the perpetrator does not seem to intend any harm to the minors. Our Court, however, has never held that the vulnerable victim enhancement requires a showing of actual harm, whether financial or otherwise. Rather, our three-part test under United States v. Iannone, 184 F.3d 214, 220 (3d Cir. 1999), properly analyzes the "nexus" between a victim's vulnerability and the success of the defendant's criminal scheme, thereby encompassing any resulting harm to the victim and rendering an analysis of "actual" harm inconsequential. That makes no sense to me. In effect, the Court holds that the vulnerable victim can apply where the only victim in sight is the IRS which is not a vulnerable victim. The Court simply disregards the required "vulnerable" victim status and looks solely for some nexus between someone who is vulnerable and the scheme, whether or not the vulnerable person is a victim. My reaction above is not based upon detailed research on the issue but only in response to the words of the opinion. So, I would appreciate the ideas, learning and experience (includiing research) of others on this issue. But, for take-aways, sophisticated preparers (perhaps those who read cases such as this and blogs such as this) should avoid using such vulnerable persons to implement stealing from the IRS via false returns. There are other ways to steal from the IRS via false returns. At least, if caught, they can avoid this enhancement. One other itrm that caught my eye. 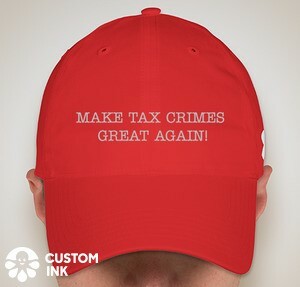 The defendant was "convicted of conspiracy to defraud the United States and of aiding and abetting the preparation of materially false tax returns, in violation of 18 U.S.C. § 371 and 26 U.S.C. § 7206(2)." I have previously noted that the conviction under § 7206(2), here, is for aiding and assisting, not aiding and abetting. See e.g., Fifth Circuit Opinion on Aiding and Asisting and Trial Management (Federal Tax Crimes Blog 8/27/16), here.